Bishop Jeremy Goring Brotherhood of the Cross and Star. Brotherhood of the Cross and Star. Deaconess Rosemary and Bishop Jeremy Goring from Lewis Sussex preside over an anniversary celebration at their Bethel in Rye Sussex. 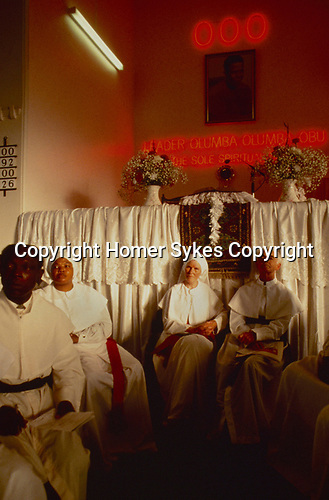 Founder of the church Olumba personally appointed Bishop Goring as his representative in western Europe. 1990 UK.